Corporate and Business Catering Specialists With A Difference! The next time your company needs corporate catering check out Your Paella. They provide a business catering experience that you and your business guests will not only find to be healthy and delicious, they will also be entertained as they watch the “Theatre” provided by the Your Paella chef’s. 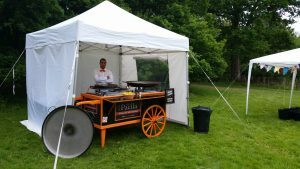 With Your Paella’s famous “Paella Cart” your corporate and business clients will be totally wowed as they watch the Paella being cooked from start to finish. Using the finest ingredients Your Paella will be the perfect choice for your next Corporate or Business Event. For more information or a free quote why not contact Your Paella today! Your guests will be very glad you did 🙂 or call them on 07989079231.
https://www.yourpaella.co.uk/wp-content/uploads/2014/07/Paella-Copy-2.jpg 1085 1367 Gary Evans https://www.yourpaella.co.uk/wp-content/uploads/2019/01/logotrans1-300x106-300x106.png Gary Evans2015-04-15 11:36:122017-06-11 22:13:25Corporate and Business Catering Specialists With A Difference! Paella Wedding Caterers. Paella for Parties.